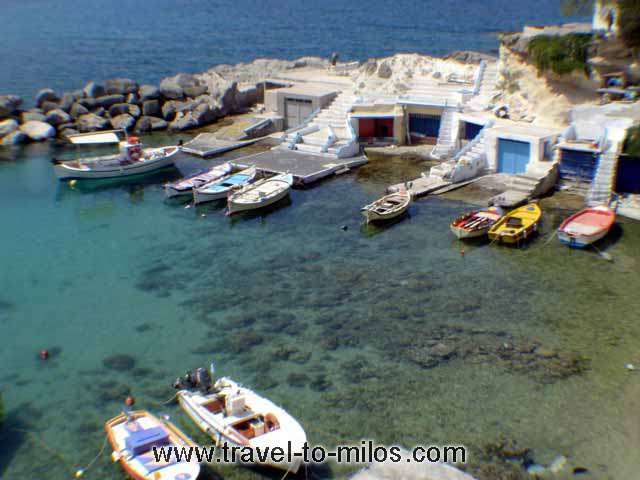 Small fishing resort at a distance of about 4 km from Plaka. 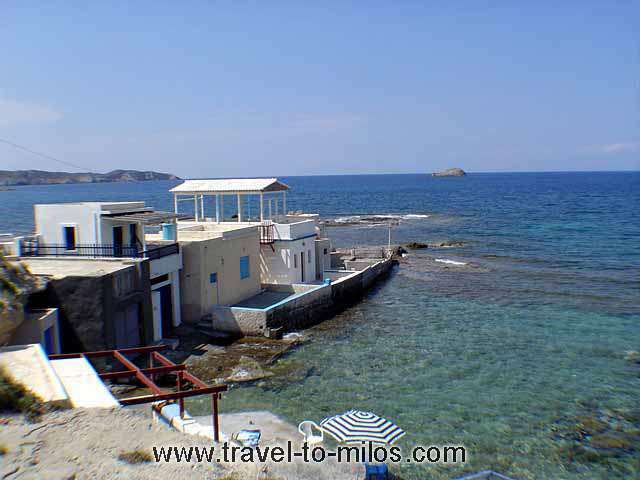 The architecture of this fishing village is unique and most likely is the village of a Milos picture you have seen. The buildings follow the natural landscape, are dug in the rocks around a small bay forming the port. A quiet and unique village viewing the sea. These houses are used by fishermen as shelters for the housing of the fishing boats during the winter. 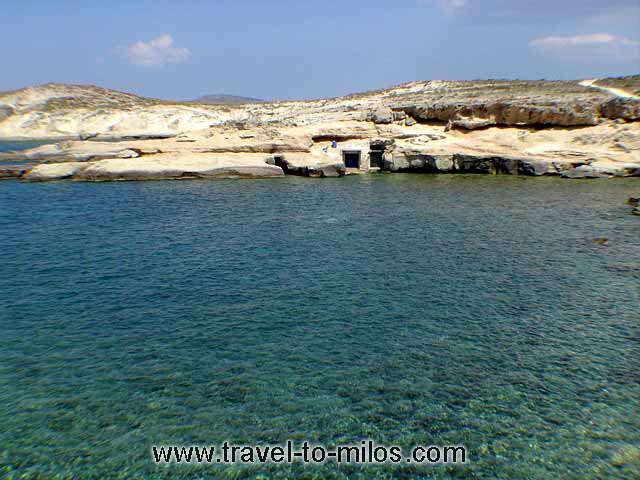 Such fishing villages are frequent in Milos. The church of Zoodohos Pigi stands on a hill above Mandrakia.